Victory in the March 20 Primary! 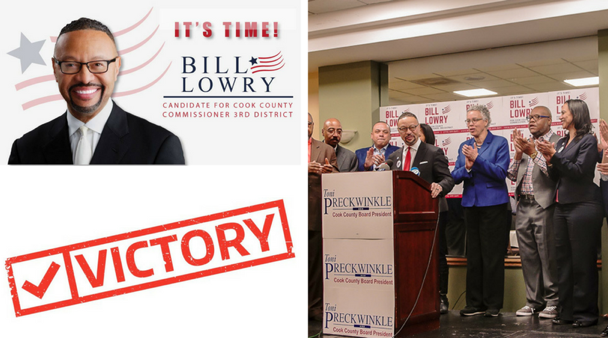 We share this victory because we share a vision for Cook County. I entered this race believing that we who live here should be both safe and healthy in our current situations and optimistic about our future. Now, the primary race is a victory, but the work is not yet finished. As we move forward, my resolve is stronger because of the support of our Cook County Board President and the foundation laid by Commissioner Jerry Butler. I thank my family for their patience and prayers. I am so grateful for the campaign staff, the volunteers, and contributors who shared their time and resources so generously. I appreciate every vote and respect those votes that were cast for the other committed individuals in the race.